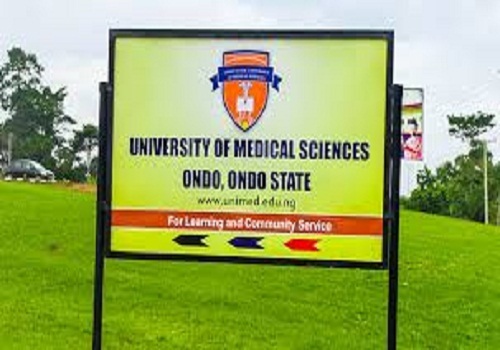 This is to inform you that The University of Medical Sciences Ondo, Ondo State has published the registration guidelines for all newly admitted students of the institution for the 2017/2018 academic session. Click on Payment to make payment for Acceptance Fee online and print evidence of payment or Generate Payment Invoice to pay through commercial banks via e- tranzact platform. Visit the portal thereafter to Confirm your Payment by carefully entering your Payment Confirmation No if payment was made through commercial banks. Click Account Creation to Create Student Account and Subsequently Log In to fill all required forms. Download & Print Completed Forms in 4 copies. Proceed to Bursary Department to obtain receipt for payment of Acceptance fee. Proceed to Academic Affairs Office for Screening (from Monday 13th November 2017) with 4 Copies of Printed Forms, Original Copies of Credentials – JAMB Admission Letter, ‘O’ Level/’A’ Level/B.Sc Result, Local Government Attestation Letter, Birth Certificate, Letter of good conduct from reputable person in the society, 4 Passport sized photograph, Acceptance Fee Receipt from Bursary Department. On Successful Clearance, proceed to pay for School Fees, Internet Access and Accommodation Fee. Log in to your Account and fill Course Registration Form. Download & Print Completed Course Registration in 4 Copies.